Catalonia’s former president Carles Puigdemont is having to launch his regional election campaign from exile in Belgium. He fled Spain last month after the government charged him with sedition for holding an illegal referendum on independence. His government declared that 90 percent voted for independence but the vote was disrupted by riot police sent in by Madrid who had already declared it illegal. 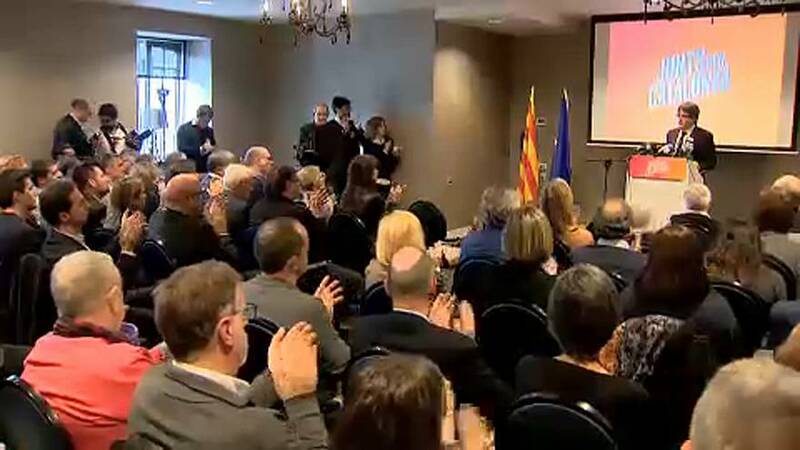 Puigdemont addressed his Together for Catalonia party candidates at a hotel near Bruges, saying that Europe must recognise the referendum result, which his administration in Barcelona declared was a win for independence.